It’s a Mk 7. It’s a Golf. 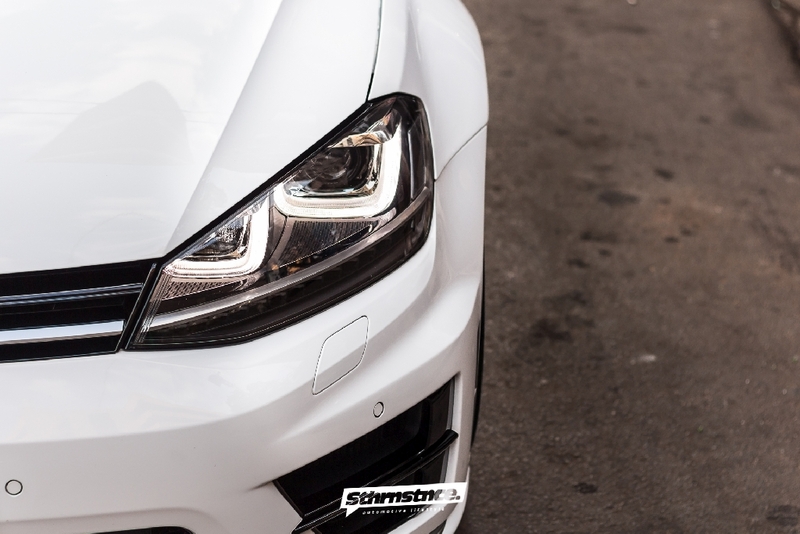 It’s a R – it’s Shaun’s passion and this is the reason why the South African VAG enthusiast built one of the coolest Golf R in his region. For you to understand this build you would need to understand the Owner. 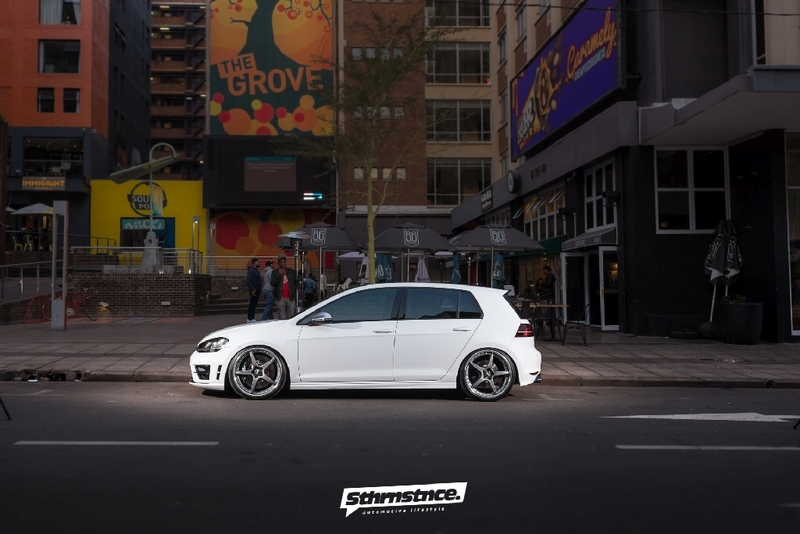 Shaun Mooloo, owner and extraordinaire of South Africa’s leading VAG tuning business VAGcafe and one of the Partners in VAGtechnik the local agent for Revo started his path into owning these relevant tuning business’s more out of necessity than anything else. 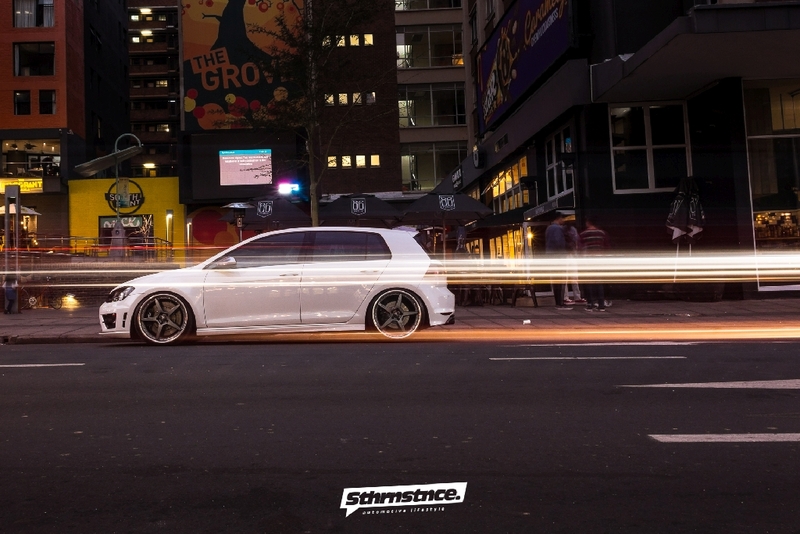 You see, Shaun is fanatical supporter for the VAG brands and has owned numerous show stopping examples of different models all sporting and OEM+ look. He is a firm believer that “less” is more, well, the appearance of less. 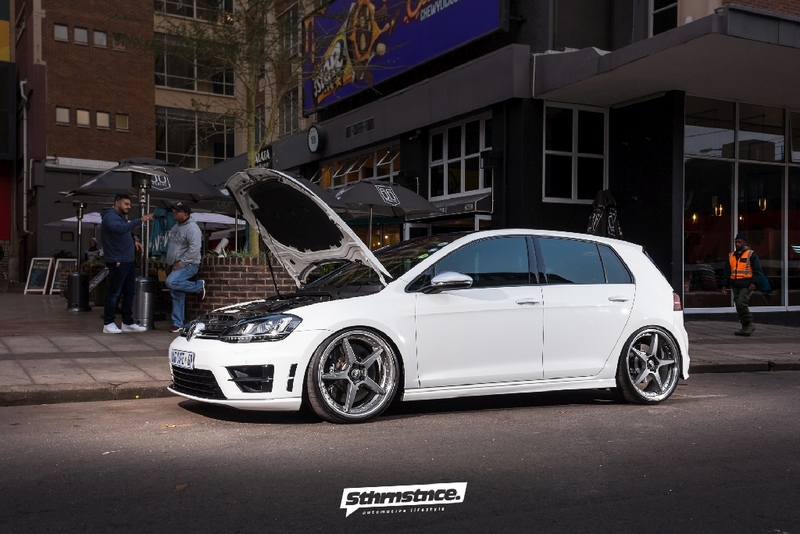 His latest build this, immaculate VW Golf 7R could be seen as just another Golf with wheels and a suspension but I can assure you his mod list is quite extensive, but more about that later. Shaun started VAGcafe a couple of years ago to help support his other business VAGtechnik. Being the local agents for REVO he needed to have the ability to supply the hardware to help compliment the Software side of his business. So VAGcafe was established. 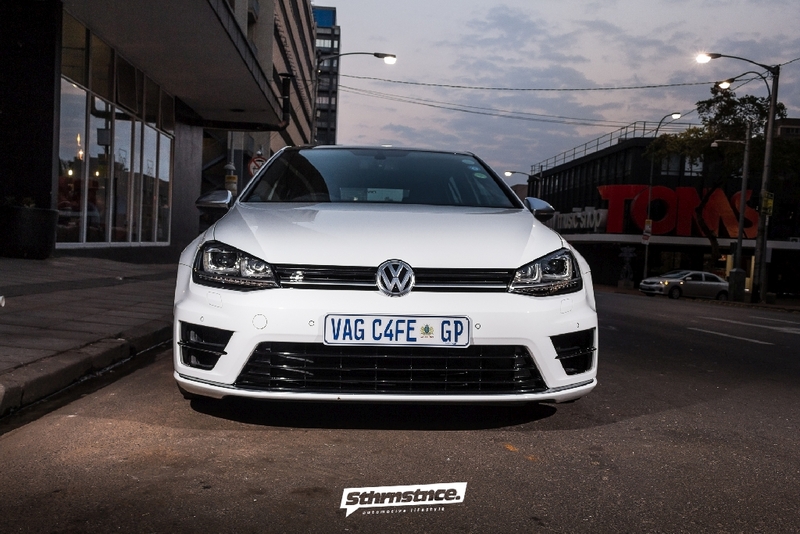 A couple of years later VAGcafe is the leading supplier of VAG performance products (VAGcafe does supply for other European marques as well) in South Africa. 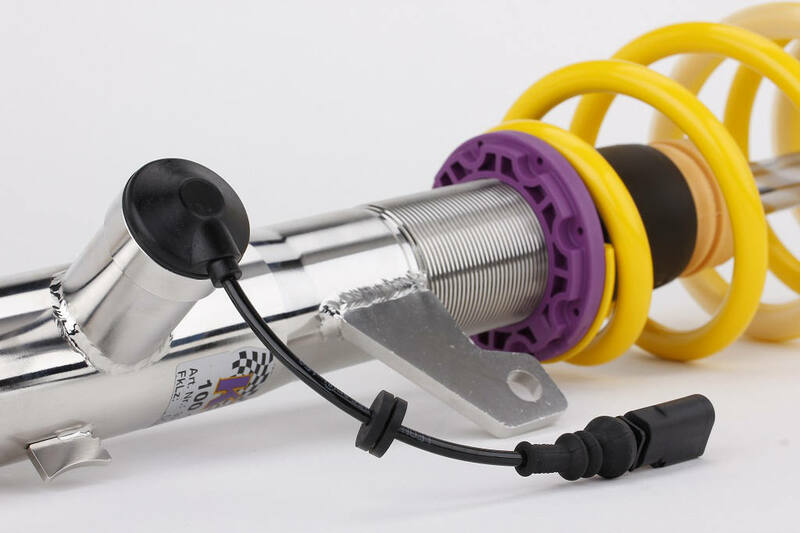 Over the years they have successfully grown their extensive range of world class brands such as KW Suspensions, Racingline, BBS, MB Designs, Forge, BFI, GFB and of course REVO’s own hardware solutions to name but a few. 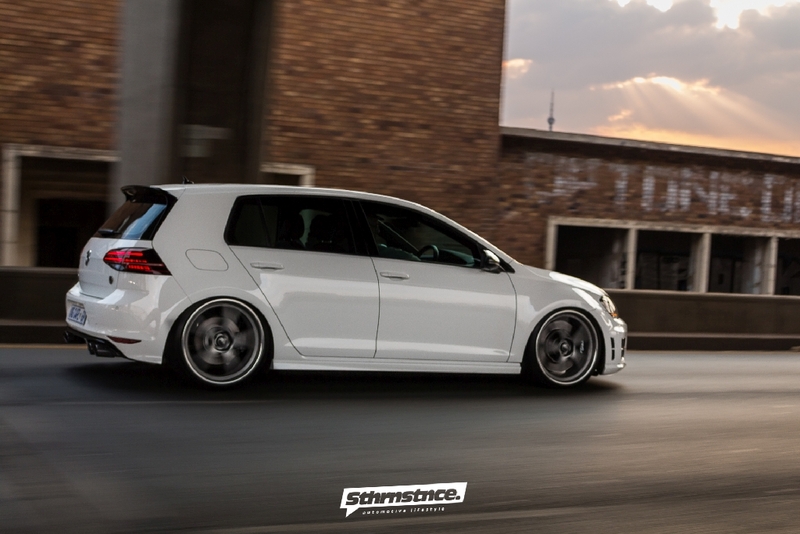 So what is this rather pretty VW packing well lets start with the seemingly untouched body. So another R front Bumper was sourced and flushed to clean up the frontend. 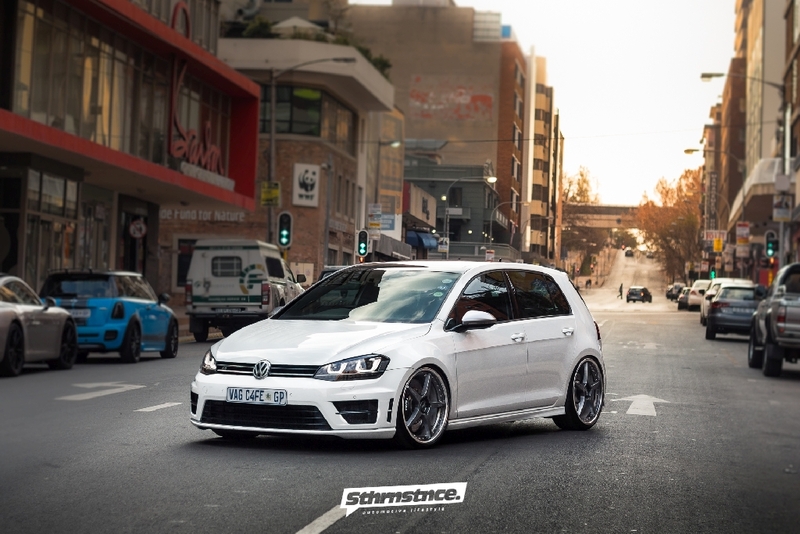 He added Mucke wider fenders, you would never notice but it adds an extra 30 mm to allow his Golf R to tuck the 20inch wheels and achieve this driving height you see before you. 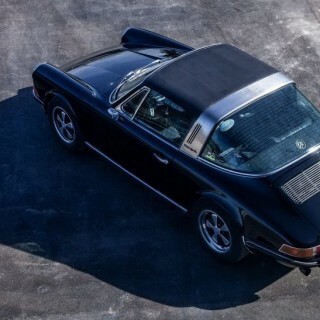 He has also added a SRS Tec Roof spoiler, which compliments the subtlety. 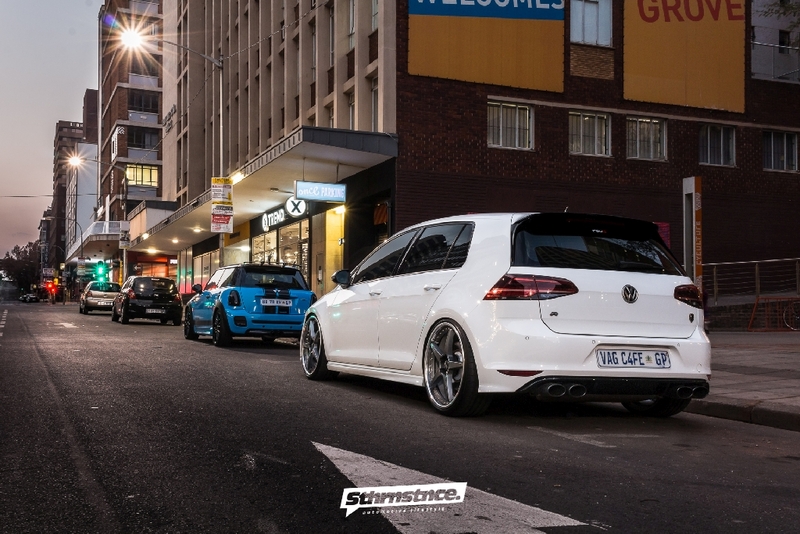 This car has sported a number of different wheels from a host of wheel manufactures including BBS, MB design and now the latest brand she wears is O.Z. Hailing from the Atelier Forged range the Chrono III is finished in a matte Graphite silver and is wrapped in 235/30/20 Continental Sport Contact rubber to allow for brilliant on road cornering. To achieve the lows and being a dealer of KW Suspensions Shaun opted for the excellent DDC range of Coilovers. 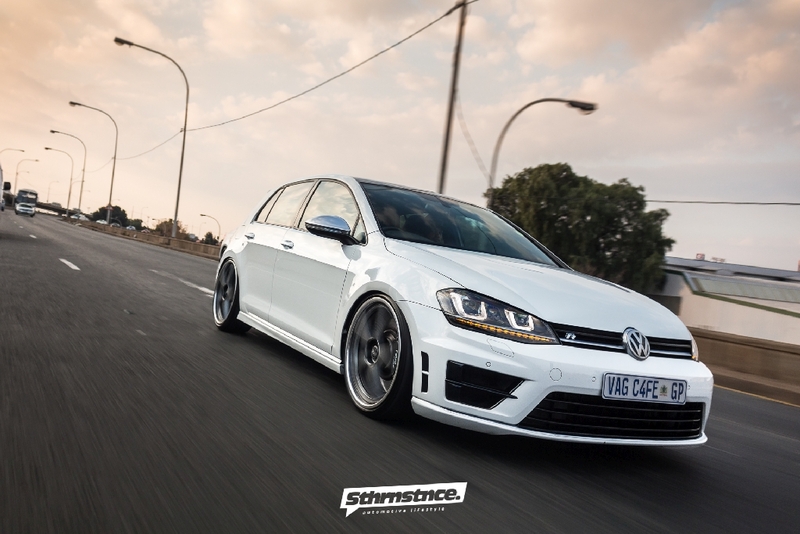 Its unreal how well this suspension integrates with VW’s own adaptive chassis control. 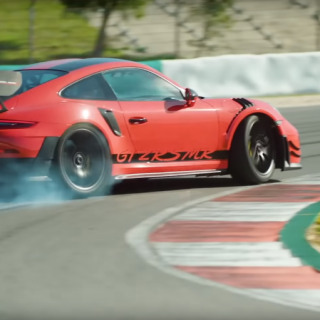 The car is comfortable and supple and forgiving over harsh roads (believe me when I say we have tested this theory at speeds on the wrong side of the law) but change the settings to RACE and the suspension stiffens up within a blink of an eye. It also has a set off Superpro Antiroll bars (26mm/24mm respectively) to keep the car really poised in the corners, which is not necessarily a bad thing. Don’t let the pretty exterior deceive you. At the heart of this 7R is a 500 hp beast of an engine. How was this achieved? 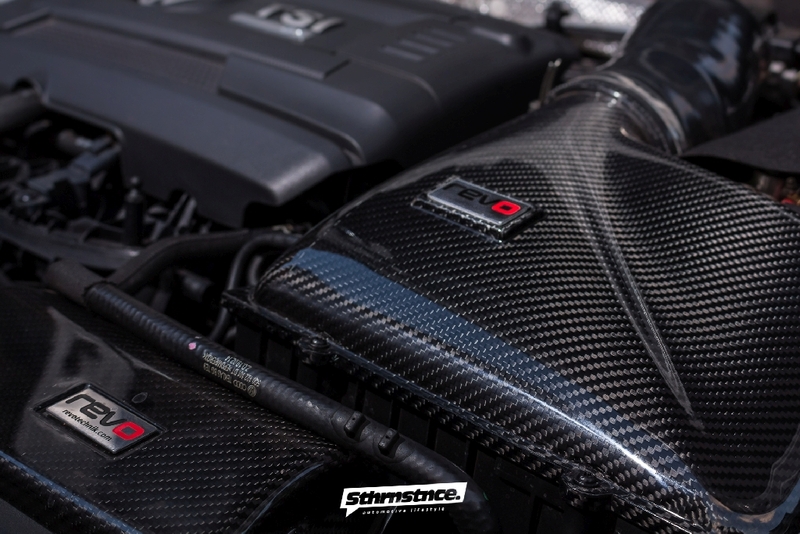 Well… pay close attention, as we reveal what’s under the hood. 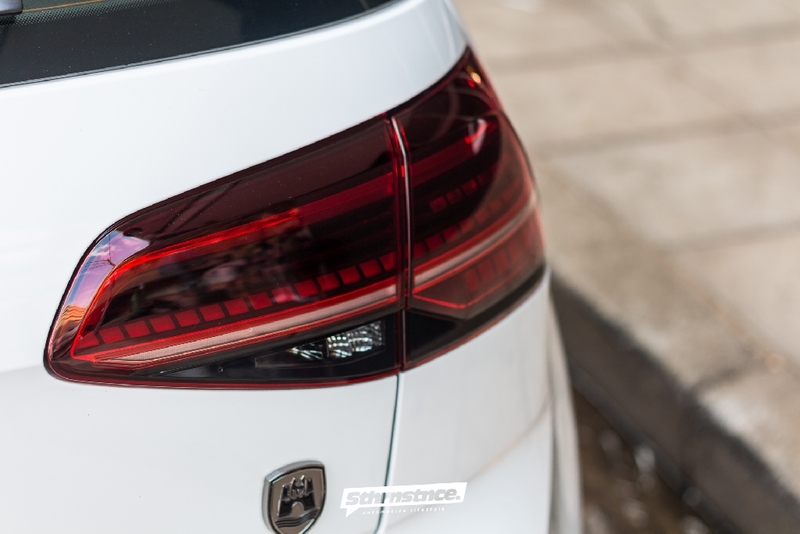 First off, a Milltek Sport resonated Turbo back Exhaust system was fitted, the one with volume control valve, and this decibel goes up dependent on which setting you have chosen. It has an ECS Tuning Boost Tap, REVO Carbon Series intake system which is so beautiful, you can’t help but what to whisper sweet nothing whilst tenderly stroking it. 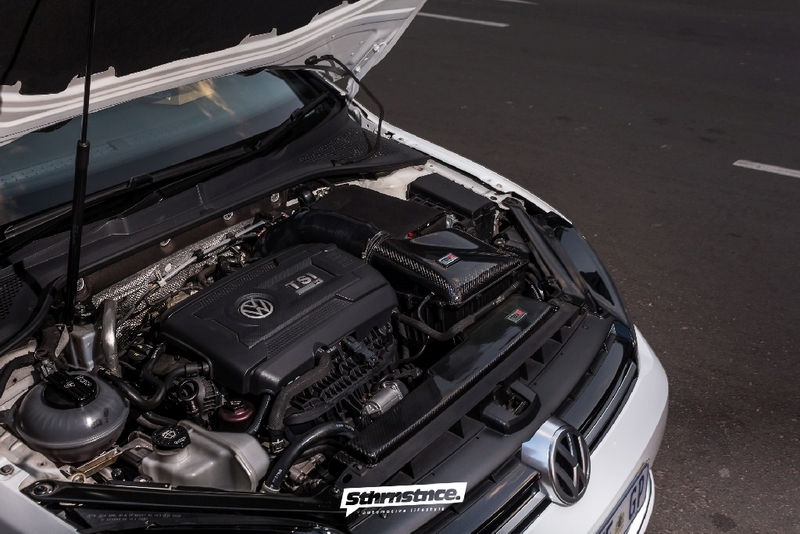 A large Competition spec intercooler by Wagner Motorsport was fitted as well as an AEM Water/Methanol injection kit to keep intake temperatures as low as this car rides. Finally, to wake this motor up, a REVO TTR Turbo kit was fitted which forces more air and functions as efficiently as the stock Turbo setup, coupled with a REVO Stage 3 Software package and a REVO DSG gearbox flash, it makes for an extremely quick weapon. 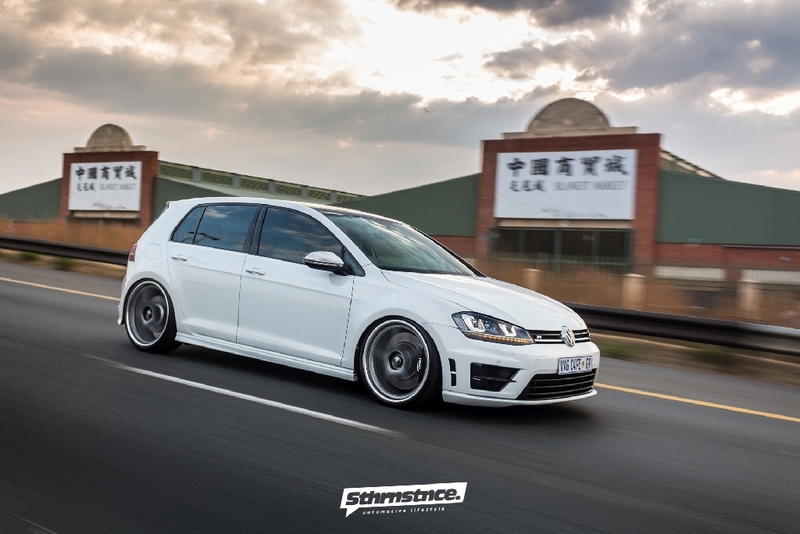 On the road it will embarrass and annihilate most Supercars, leaving any owner who were foolish enough to challenge this Golf, whimpering in some dark corner. 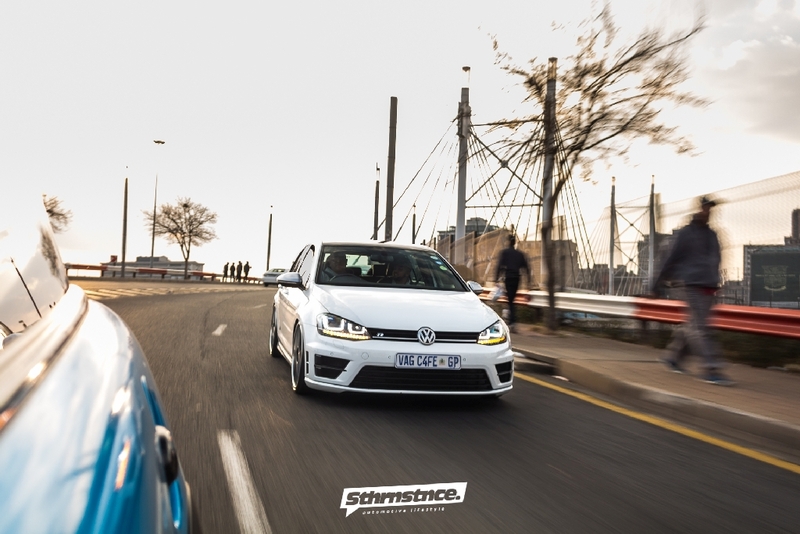 The acceleration is phenomenal and as Shaun flicks up through the gears from the extended paddle shifter, the R pops and bangs and whistles, which offers a very theatrical driving experience. 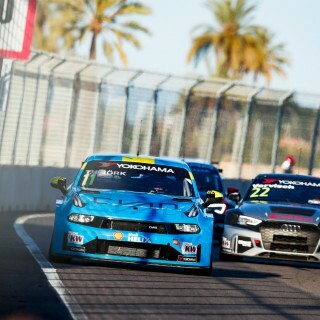 It also offers you the competitor some insight into what you just got yourself into. 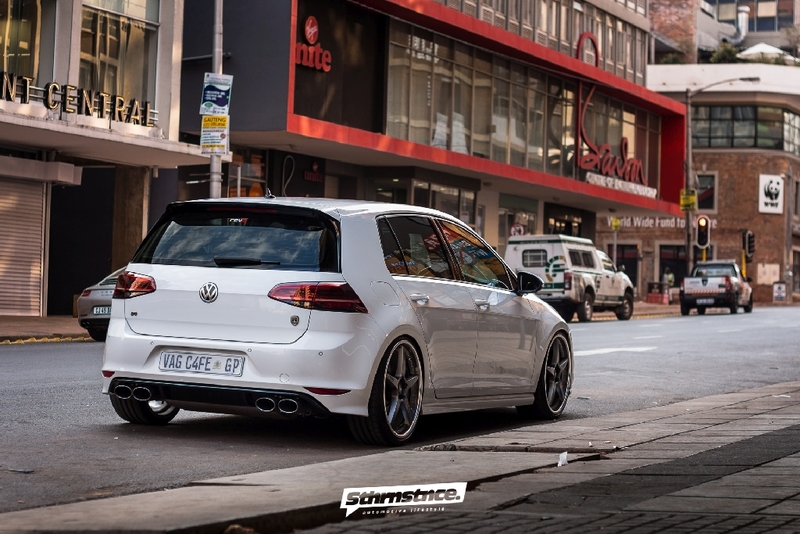 As you glance at R pulling away at rapid pace the flames shooting from the blacked out Milltek exhaust tips, as it gears up and increases velocity, you notice that the taillights were upgraded to the new VW Golf 7.5R taillights. Shaun flicks on the hazard switch to tell you it’s all over and revealing more of his pedantic attention to detail, in the form off the fully functional Dynamic Indicators. Cool touch. Now you don’t mind being schooled by this Superior VW. Despite the theatrics of the car when dialed up to 11, this car has not lost its drivability or road manners. Everything can be muted or turned up, at the touch of the factory VW Driving Mode Selection. 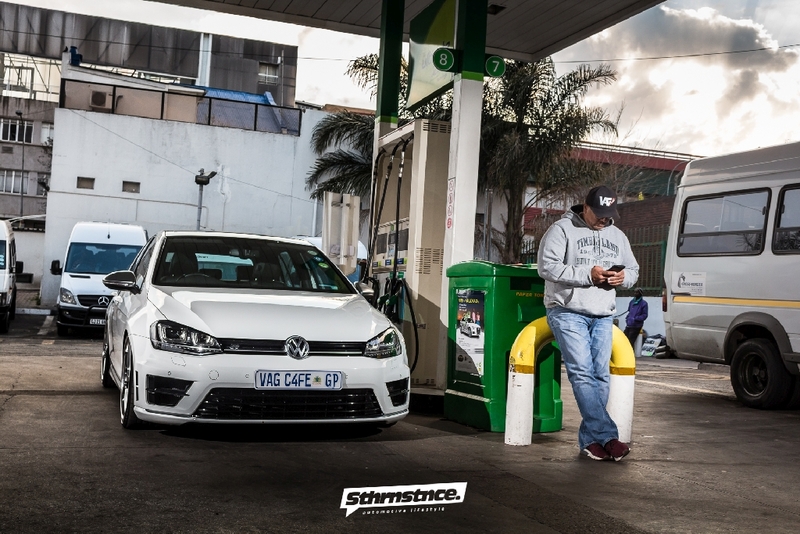 That’s the most impressive feat of this VAGcafe VW Golf 7R. Oh… the car also has a complete custom Rockford Fosgate sound installation, but you don’t want to hear none of that, now do you? 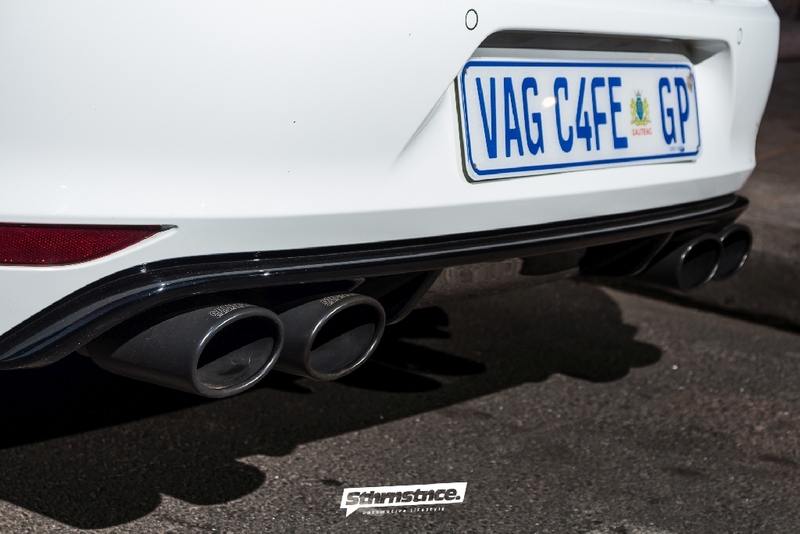 Log on to www.vagcafe.com for more about their products and their coverage of South Africa’s Car Culture. By the way in the last winter Shaun already modified his 7R again – you’ll see the new look in the YouTube video above!